This framed 6-pin set was available only to the attendees of WDW's fifth Disneyana Convention, held in 1996. It features Mickey Mouse in five of his greatest roles and the official Disneyana Convention Logo pin. 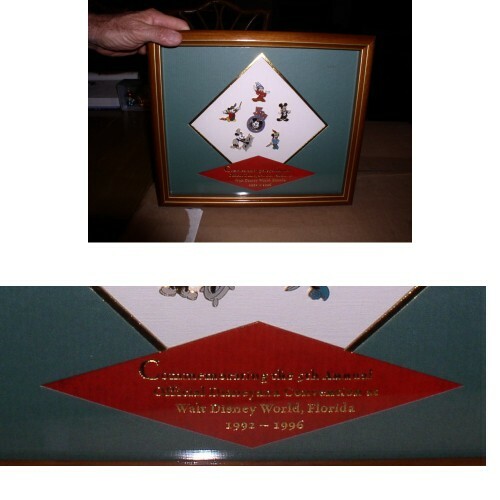 On the matted portion of the set are the words: "Commemorating the 5th Annual Official Disneyana Convention at Walt Disney World, Florida, 1992-1996." The frame measures 13 3/8 inches (34 cm) by 11 1/2 inches (29 cm).